Karma Yoga means yoga of action. Doing something, helping people in need, spreading a cause, supporting kids’ and youth organisations, doing charity. My karma yoga is supporting health and education, spreading information, supporting children, youth, women, men, whole communities. Earlier this year, I joined the Total Health Revolution Challenge in Cameroon, an initiative by the Himalayan Institute, wanting to put my yoga in action. The objective of the Total Health Revolution Challenge is to empower people in villages to take responsibility of their own health. You can read more on the Total Health Revolution Challenge here. 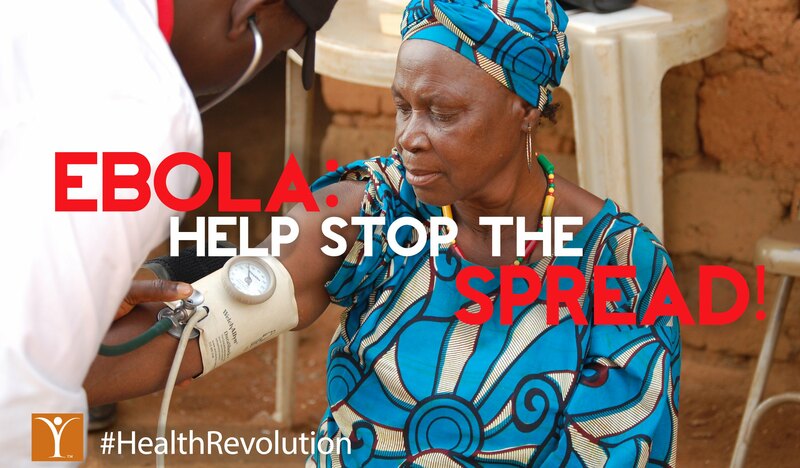 Since the summer 2014, the spread of Ebola in West Africa has caught the world off guard. Govern ments and community leaders are calling on credible aid groups to help curb the spread by teaching prevention. This spread of the lethal disease has put an additional role, or purpose, to the Total Health Revolution Challenge. In the end of August, the Himalayan Institute was called upon to join hands with government health workers in the region to educate the public on how to prevent the spread of Ebola. With the already existing project, we are in the position to reach tens of thousands and really contribute to ending the epidemic. The reason of writing this post is to spread the word and challenge you to participate to this Challenge. You can accept and join, by donations and/or spreading the word. Just donate what you can, all will be used for this good purpose, health education. When many individuals join with even small donations, we can make big things. Saving lives is priceless. Just do what you think you can, even just share this link. Om Shanti. And Thank you. PS: “Seva” is a Sanskrit word meaning “selfless service” or work performed without any thought of reward or repayment. In ancient India seva was believed to help one’s spiritual growth and at the same time contribute to the improvement of a community. This entry was posted in Education, Health, International projects, Karma yoga, Total Health Revolution Challenge, Uncategorized and tagged Cameroon, ebola, epidemic, Himalayan Institure, karma yoga, Katariina Yoga Seva Circle, Seva, West Africa. Bookmark the permalink.